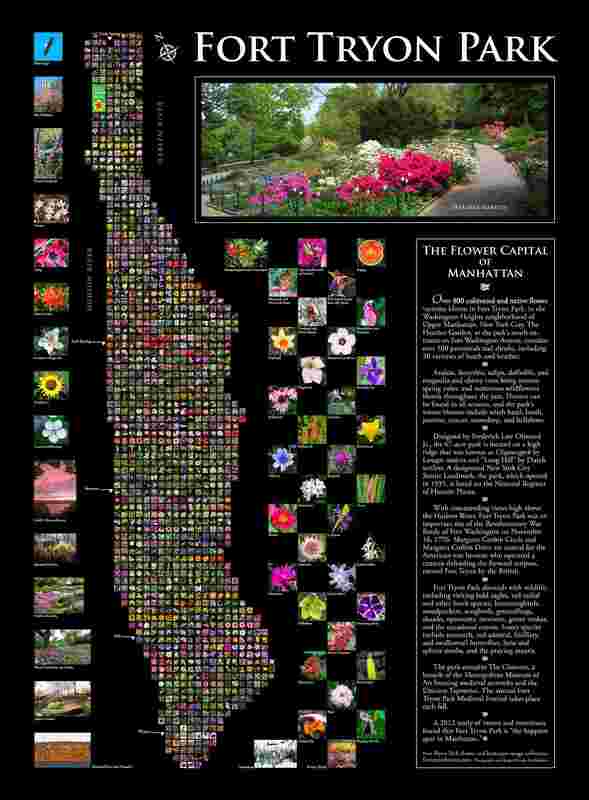 This NYC Subway-approved Fort Tryon Park flower poster is vivid enough to brighten any wall! 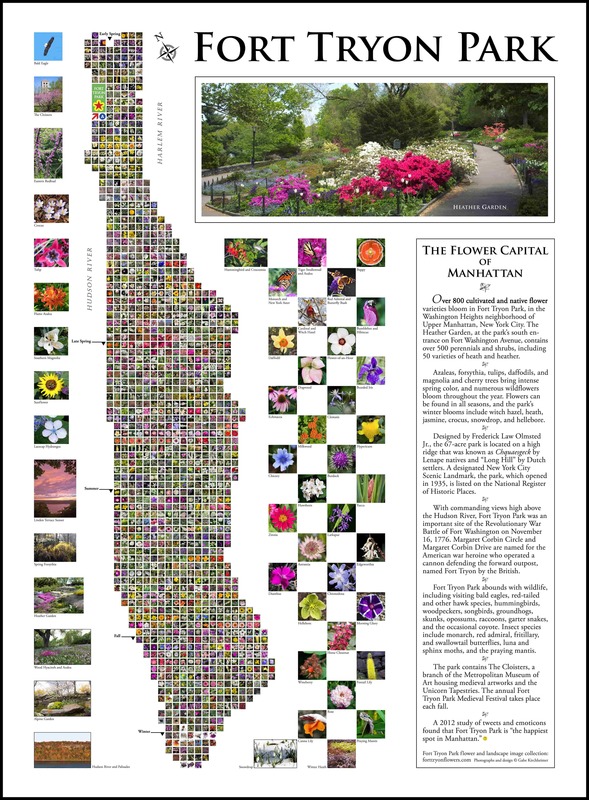 The result of eight years of documentation, this colorful poster includes over 1,000 photographs of nearly 800 flowers, arranged chronologically by season in the shape and grid of Manhattan Island, plus landscapes and wildlife. Text provides information on the park’s nature and history, and its significance as a site of the Revolutionary War Battle of Fort Washington. The poster—installed in the 190th Street Station of the A Line Subway—is suitable for mounting and framing, or it can simply be displayed in a standard poster frame. The poster is available in white or black, in two sizes, 18" X 24" and 24" X 32". Each high-quality poster is printed on Ilford paper using an Epson 7900 10-color digital printer, for maximum color fidelity and clarity. Free shipping within Continental USA! All prices include USPS Priority Mail shipping in a heavy-duty tube.